And so it begins—Yom Kippur—the holiest of the Holy Days. The time between the new year, Rosh HaShanah, and Yom Kippur (Day of Atonement) is known as Yamim Noraim (Days of Awe). It’s a time for introspection and repentance. Jewish tradition holds that God opens the Book of Life on Rosh HaShanah. He begins inscribing the names of those who are upright and holy before Him. On Yom Kippur, the Book is closed for the year. That makes it very important that Jews take these Days of Awe seriously. That they examine their lives with regard to sins committed against God and sins committed against one another and confess, both to God and to others. Confessing one’s sins to God only cleanses us from our sins against Him. To be clean from wrongs against our fellow man, we must go to them. Before we dismiss this as a strange Jewish custom, remember Jesus’ words:”23 So if you are offering your gift at the Temple altar and you remember there that your brother has something against you, 24 leave your gift where it is by the altar, and go, make peace with your brother. Then come back and offer your gift.” (Matthew 5:23-24 CJB) Sounds like Jesus didn’t think it was a strange custom at all. At the end of Yom Kippur, when the Book of Life is closed for another year, Jews from around the world trust that their pleas for forgiveness have been heard and their names are inscribed and sealed therein. Yom Kippur is one of the six fast days for the Jews, as commanded in Leviticus, “…and you are to deny yourselves.” The fast serves several purposes. 1) It’s part of denying ourselves. 2) If we’re truly repentant and mourning our sin, who can eat? 3) It brings us closer to God, as further explained below. In addition to the commands of Yom Kippur, repentance and fasting, one of traditions includes wearing white. This comes from the tradition that on Yom Kippur, we are like the angels in that we don’t eat or drink. We don’t work and we don’t have intimacy with our spouses. It’s the day when we are pure before God like the angels. As I’ve studied the High Holy Days, I’ve been reminded of the Church calendar and struck by the similarities. Lent is also a time of repentance and fasting. 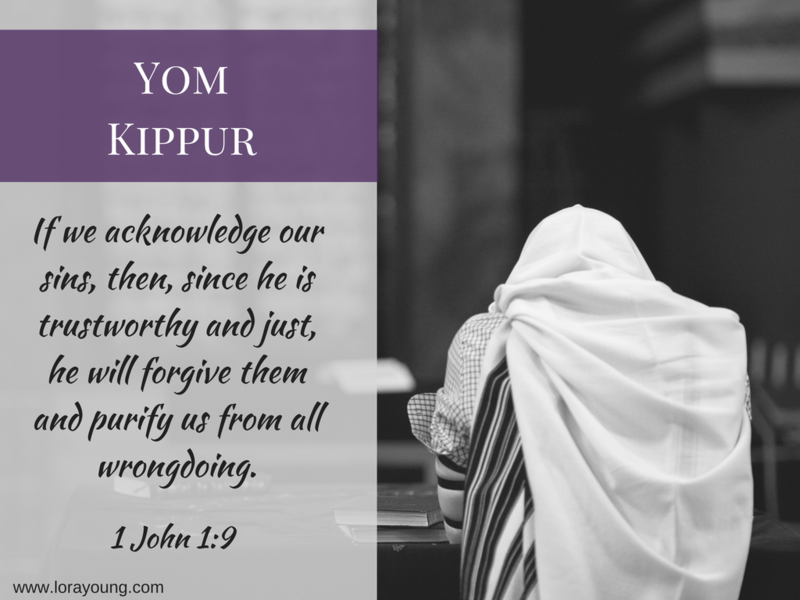 Was Lent a hold-over from the Jewish observance of Yom Kippur? Borrowed from Judaism and altered to make it more “Christian”? I don’t know. Still, I believe there are many things we can learn from Judaism that will enhance our faith in the God of Israel and His Son, Jesus. I plan to attend some of the Yom Kippur services at the local Messianic congregation and will post my experiences and thoughts soon. *Some of these ideas seemed…well…weird to me until I recalled a few of the weird Church traditions. How about: animals can talk at midnight on Christmas Eve? Yeah, not gonna judge Judaism’s strange traditions when the Church has a few of her own. Thoughts? Let’s reason together in the comments. This entry was posted in Abdicating the Throne.